• Following widespread consultation, the PCC have agreed to rebuild All Saints in a way that will both honour our heritage, and provide a building that will resource the congregations and community of the future. • The DAC have up to this point been very supportive and encouraging, but are currently waiting for a response from English Heritage before they give us their formal advice. • Meanwhile, the rebuilding group are working with Architects, Quantity surveyors, Conservators, and our insurers, to ensure that we are in a position to move forward quickly with the rebuilding project. Please continue to pray that in all this God’s will be done. Our new hat is complete! The work on the “Tin Hat” is now in place. This will protect the fabric of the church until the rebuilding is complete. The work of erecting scaffolding at All Saints goes on. The ‘Top Hat’ temporary roof will go on very shortly. We have now compiled a very comprehensive list of architects who will be invited to register an interest in the rebuilding work. Our vision statement will be going out to them very soon. Year 5 at All Saints school are currently doing a project about the rebuilding. They will be visiting the site of the church on Wednesday, and will be conducting research amongst the public about the future use of the church. Don’t forget the special Meeting on Saturday March 12th at 10.00am at P&J. Please note that this is not a consultation meeting like we had before, but an opportunity to ask questions and to hear in more detail how the project is proceeding. Work has started on the removal of headstones from the churchyard. This is necessary to facilitate the erection of scaffolding and access by heavy vehicles. The work is being done by experienced stone masons and every care will be taken with both the removal and storage of headstones. Not all stones will be removed, but an area near the walls needs to be cleared to provide access and prevent damage to the stones themselves. If you know of anyone who has relatives buried in the churchyard, please let them know what we are doing and why. There is more information elsewhere on the website. It may appear that there is very little happening right now but that’s not the case! 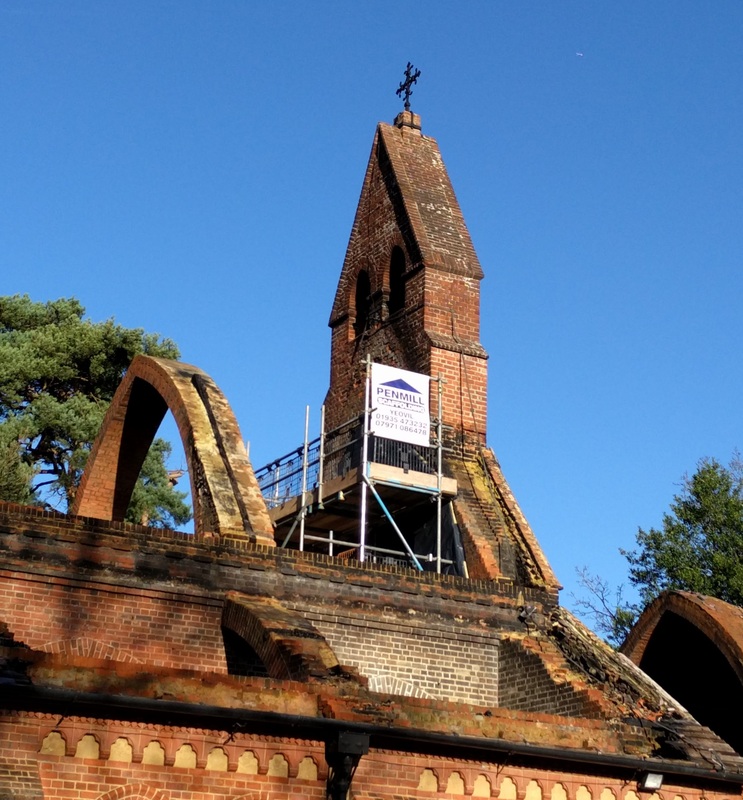 Behind the scenes there is much work going on in terms of arranging for the temporary roof, permission to move gravestones and provision for vehicular access – when these are all in place we will publish more info. Our PCC meet on 18th January to further consider the vision for the future and we will circulate a document to our congregations and community following this meeting. The PCC met on Saturday 28 November to consider the many responses (56 pages of A4) to our consultation exercise. This was a very successful meeting, led by the Holy Spirit, and a fairly clear way forward was agreed upon. A detailed report of this will be published in the near future. The young man who pleaded guilty of starting the fire was sentenced on Friday 27 November. He was sentenced to 4 years in a youth offender institution followed by 3 years of supervision. Please continue praying for him, his family, and all who have been affected by the fire. Thank you to everyone who has attended our consultation sessions, or sent us their thoughts and ideas about the rebuilding. These are now being collated and we will shortly report back to you a summary of what people have been telling us. If you would like to submit ideas in writing please do so to the Parish Office by Friday 16th October. The clearance at All Saints by the specialists has now been completed and the church has been handed back to us. The pulpit, font and Lefroy memorial have been enclosed in plywood to protect them from winter weather. The ‘Top Hat’ (temporary roof) will be fitted in the next month or so. This will cut out the light so these sunny views of the church may be the last you will see for a while. The angel is holding All Saints Church before the extension in the1930s with the cloistered narthex on the west door.